In 2011 I wrote about a special beer I brewed called Lil Nugget. It is still one of my favorite homebrews and is holding up pretty well. Since I started at Yazoo it has always been in the back of my mind to brew this one on a commercial scale. Fast forward to January 2014 when my friend Skyler (who is also our barrel broker and owns Rocky Mountain Barrel Company) and I were talking about some new barrels he had a line on. While we were talking he brought up he had never heard of a barrel broker / brewery collaboration, I hadn’t either. So we figured what the heck, let’s do one! As I’ve said before I love to build recipes around microbes and unique barrels so this was like getting an early Christmas present. We spent the next few weeks talking about what barrels were going to be available and what styles I thought would really play to those barrels. When he told me that 40 year old XO Cognac barrels would be available I immediately thought about the oaked version of Lil Nugget which used Remy Martin soaked oak cubes. It did very well for me winning multiple awards in different competitions. So you can probably tell where this is going… We brewed an English Old Ale recipe inspired by the OLN recipe. I had to tweak some things including making the gravity a bit lower due to mash tun constraints, I opted to use our house English Ale yeast and use 2 Bretts instead of the one in OLN. We did use the Fawcett Maris Otter malt as our base along with a small amount of dark caramel malt and Belgian Candi Syrup. Nugget and Kent Golding hops ? You bet! The timing on using these barrels was great. We had plenty of time to brew the beer and let it ferment at a cooler temp (60F) then warm it up to add our Brett strains in stainless. 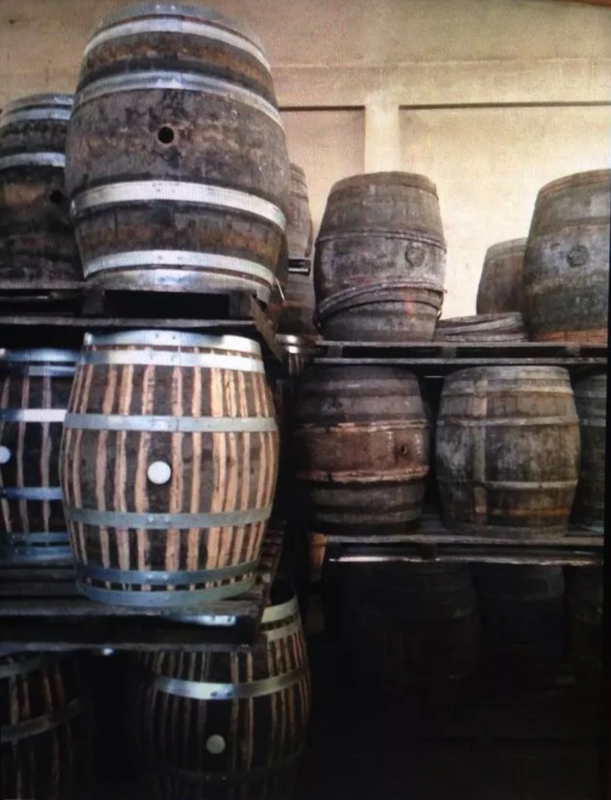 After a journey across the Atlantic Ocean the barrels arrived in Nashville on August 1st and were filled on August 5th. I’m really pleased with how the base beer turned out. It’s starting to develop some nice character from the 2 Brett strains. 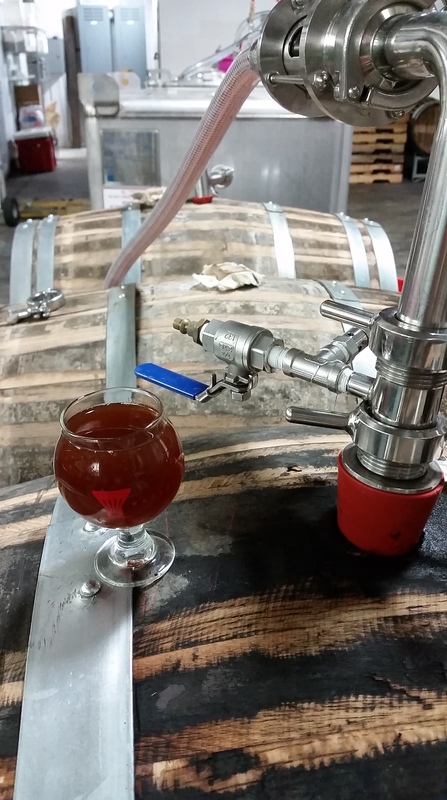 But wow are these barrels are going to take this beer to the next level. The toffee, honey, Crème brûlée notes of the barrel have me so excited about how all this will meld together. 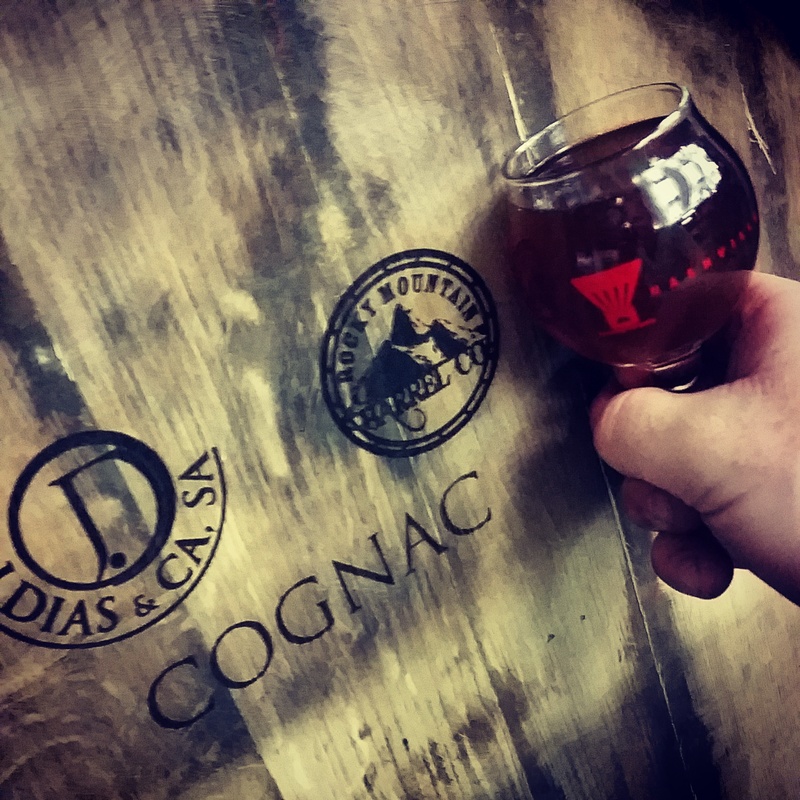 Since these barrels are so high quality I’m anticipating just a few months of barrel aging before releasing bottles. That is always subject to change, but just based on the aromas I’d say it will be a fairly short aging process compared to some of our other beers. This should be a great beer to help get Nashville and Denver through another cold winter! 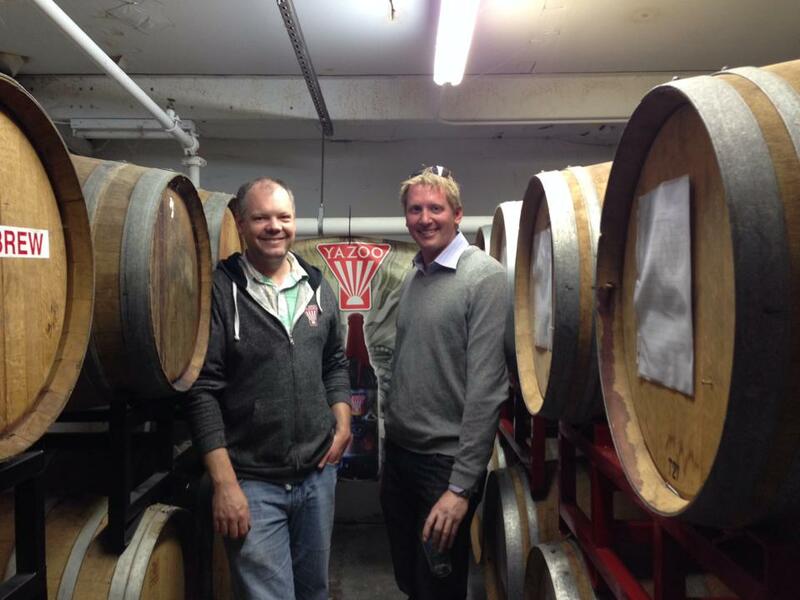 Thanks to Skyler and Rocky Mountain Barrel Company for teaming up with us on this collaborative effort at Yazoo. We had a great time getting this together. Hopefully we can get some of the RMBC crew out here for the release party . Skyler and me in the Yazoo barrel aging area. Those are some pretty special barrels. Have ideas for your second run with them? Maybe something more pale to see what nuances are left in the barrel? This is just THE most perfect example of how creativity in brewing expresses it’s self as a true art form.